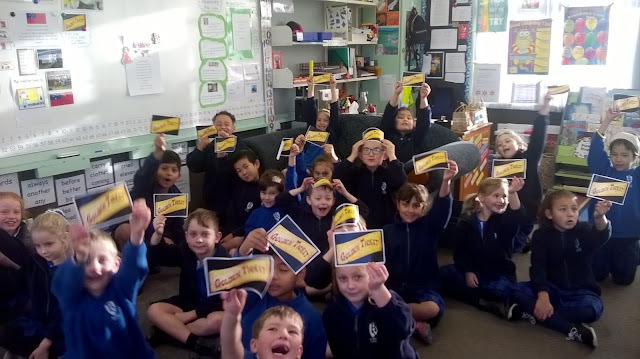 Room 11 Happenings 2018: Golden Ticket Winners!! Golden Ticket hidden in our desks this morning. A fitting ending to our finishing of Charlie & the Chocolate Factory.